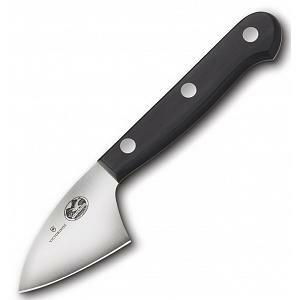 This soft cheese knife from Victorinox features a 5.25" blade. 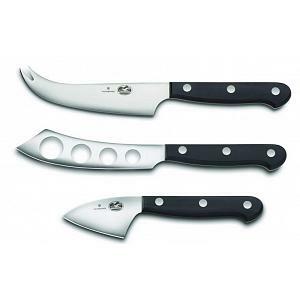 The cheese knife is specifically designed for brie, Camembert, goat cheeses, and other softer cheeses. 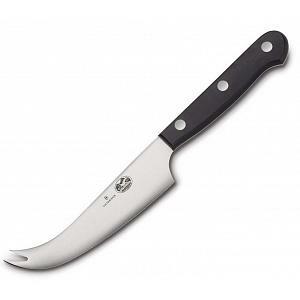 The knife easily cuts through the outer rind without crushing the soft cheese interior. The knife is triple riveted, stamped, and full tang.